This is not a new issue, for sure. The New York Times has addressed supersize strollers, endless parenting forums argue back and forth on the issue and this week’s New Yorker magazine says it all with one delectable image. 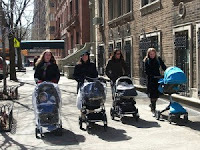 As an urban dweller, there is absolutely nothing that irks me more than the arrogant entitlement of young mothers who believe their Baby Bulldozers should share space along crowded New York sidewalks. The first time I witnessed the phenomenon was in a Verizon Wireless store, when a whiny mammer whose cell phone was wiped out was informed she had to go to another location to fix the problem. “Well, I certainly hope my stroller will fit through the door. I could barely get through here,” she snapped. The Verizon staffer was dumbfounded. I looked at him, glared at her and rolled my eyes to the heavens. Unlike convenient lightweight umbrella strollers standard from the 1960s-1980s, modern-day SUV buggies measure as much as 36 inches across and cost a whopping $700. And they continue to irk much of the free world. 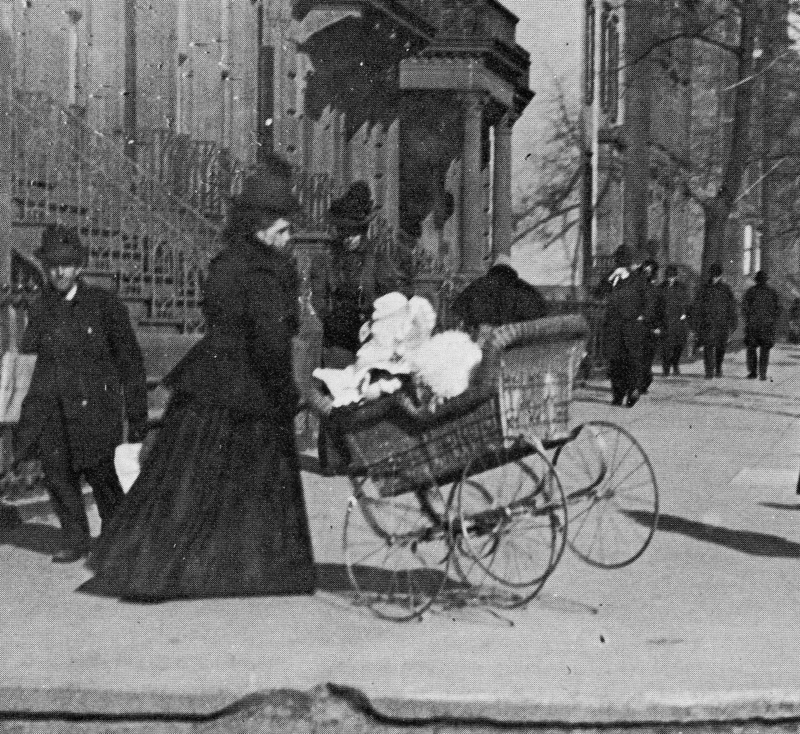 In New York and Washington, D.C., it is illegal to board public buses without folding strollers. 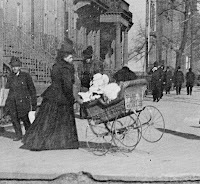 Both NYC and Chicago have loosely based “Pedestrians for the Abolition of Double Wide Strollers” organizations. Mall shoppers have complained en masse. Visitors to Walt Disney World have cried fowl that double-wides are available for rental at its four theme parks. Meanwhile, a family in Nova Scotia, Canada is claiming discrimination after being prohibited from boarding a city bus with its twin infants in a Hummer buggie! Authorities responded that they were welcome if they had a smaller stroller or if it folded and they held the munchkins on their laps. The offended daddy complained that “parents take buses with fear because they don’t know how they’ll be treated.” Waaah! More likely, passengers are terrified that entitled breeders are going to ram them with their monster buggies, sans an inkling of remorse. It’s certainly an issue that isn’t going away anytime soon. Stroller sales in the U.S. were $530 million in 2010, while the “Bugaboo” gizmo alone tripled in sales over a one-year period. It includes a reversible, click-in seat/bassinet for forward or rear-facing, an adjustable seat with three recline levels, an under-seat storage bag and a sun canopy. What the hell is this, a baby stroller or a spa on wheels? Is all that crap necessary? In this instance, I believe China has the right idea… They’re onto something good with a one-child policy. ← Happy Birthday Darren Hayes!